Our nursery trees and ornamental shrubs are grown with love and made to thrive in New England’s climate. 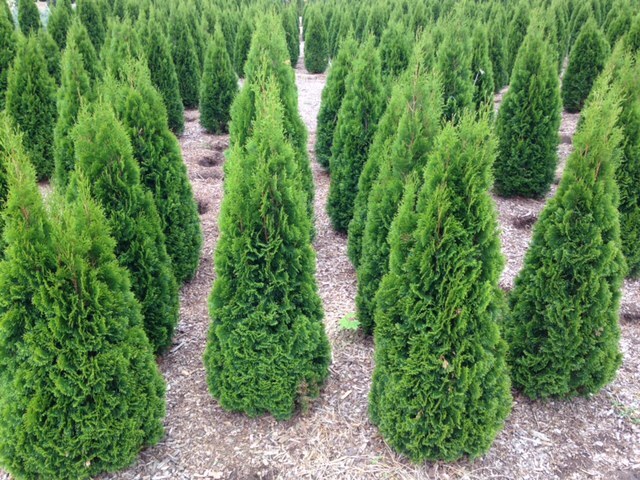 We specialize in privacy trees including Arborvitae, Hemlock & Spruce trees. They are grown right here on the farm and hardy to the climate. 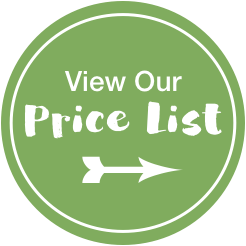 We also have a wide variety of flowering trees, shrubs & perennial flowers. Come visit to view our full selection. Please feel free to call us 860.265.6511. We are happy to load your plants 7:30-11:30 or 12:30-3:30. Our privacy hedge trees are grown on our farm. They are accustomed to New England winters and will thrive with proper care. We hand shear our trees once a year. We even re-plant our trees at 5 feet, which forces them to create a tighter root system and which helps them tremendously when replanted. How do you measure your privacy hedge trees? We offer a generous size. We do not include the root ball and measure to the full part of the tree, not the very top. B&B means balled and burlapped. Our trees are hand dug and the root ball is woven with string to ensure an optimal root system. Yes, we offer delivery. The delivery charge starts at $200 and is adjusted based on distance. Plants require proper care i.e. watering. Our staff ensure that material being sold is in a healthy condition. We do not have a set guarantee. Please call us if you suspect any issue and we’ll do our best to accommodate you.